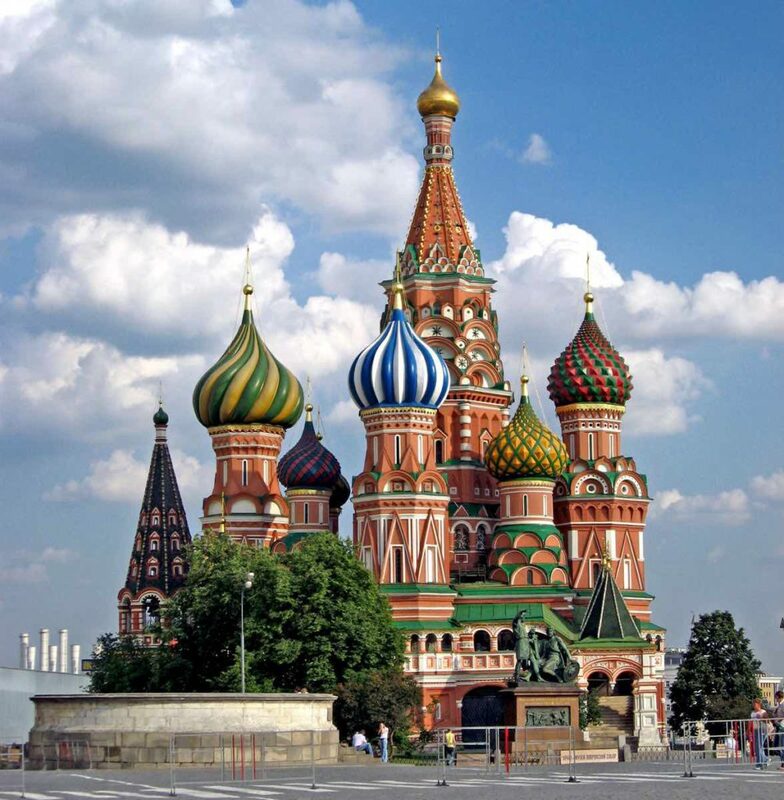 St. Basil’s Cathedral in Moscow, located in Red Square, is definitely a must-go visit in the Russian capital. The entrance costs 700 rubles (it’s free for children up to 16 years old). St. Basil’s Cathedral (also known as the Cathedral of the Intercession of the Virgin by the moat) is an Orthodox church on the Red Square in Moscow and constitutes the symbol or icon of the city. You definitely must visit both its interior and exterior as its architectural style is unique. It was declared in 1990 a World Heritage Site by UNESCO, along with the entire Kremlin. Keep in mind that St. Basil’s Cathedral is not the main cathedral in Moscow, nor is the headquarters of the Orthodox Patriarch of Moscow, since in both cases this honor belongs to the Cathedral of Christ the Savior. Many people confuse this cathedral with the Moscow Kremlin, since they are situated next to each other, but the truth is that they are not absolutely related. 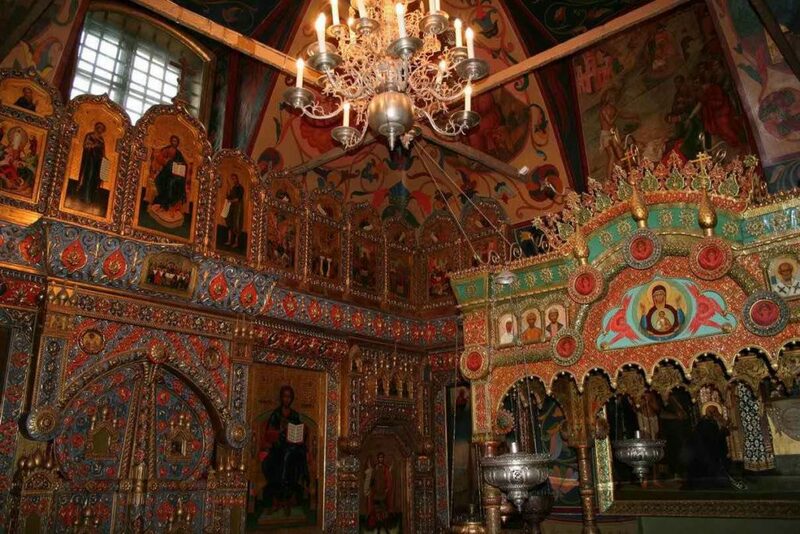 The visit to this cathedral is often complemented with other tourist attractions also located in the Red Square and the Kremlin, Lenin’s Mausoleum or GUM department store. The construction of the St. Basil’s Cathedral in Moscow was ordered by the Tsar Ivan the Terrible, and was conducted between 1555 and 1561, to celebrate the conquest of the Khanate of Kazan. According to legend, the czar blinded Postnik Yakovlev, the architect of this cathedral, so he could not build a church that was better than this one, though it is known that this is not true since Yakovlev also participated in the construction of the Kremlin of Kazan some years after. Throughout its history (in 2016 it will be 455 years old), the cathedral has been in danger of disappearing on more than one occasion, surviving fires, Napoleon’s invasion and even a demolition plan by Stalin collaborators , who considered that the cathedral hindered military parades in Red Square. Outside the cathedral you can see its beautiful domes, all different, which highlight a its striking colorful and rounded shapes. In front of the church, in a garden, a bronze statue stands in honor of Dmitry Pozharsky and Kuzma Minin, who gathered volunteers for the army that fought against the Polish invaders during the Time of the Riots (between 1598 and 1613). On its interior, being smaller than other cathedrals, you can visit its nine chapels (where you will find chorus groups) and its high belfry. Closes the first Wednesday of each month for cleaning. The ticket office closes 45 minutes before closing time. Tickets are purchased at the cathedral itself. Also they can be purchased online: http://tickets.shm.ru/. 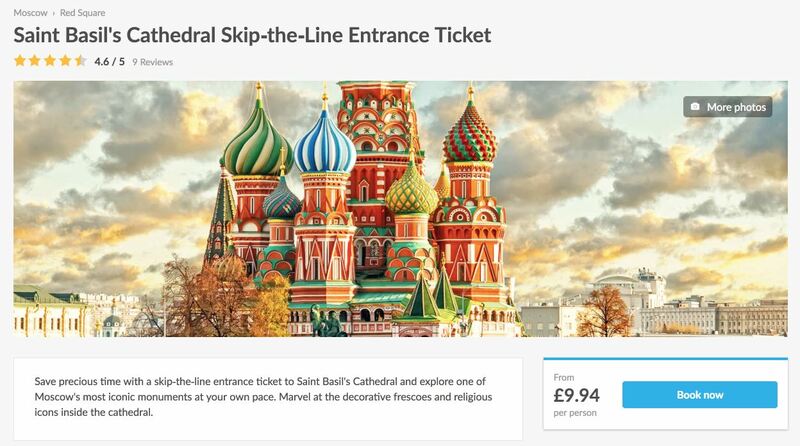 The entrance ticket is fairly inexpensive, costing 700 rubles for both Russian and foreign citizens. Children and teenagers up to 16 years can enter for free. There are also reduced tickets for certain groups. You can’t touch the windows, nor any exhibit objects and decoration. You can take pictures or videos for free without flash and without tripod. 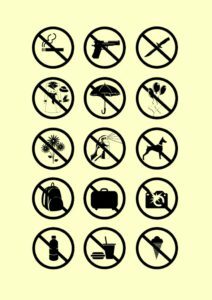 However, in temporary exhibitions, both photos and videos are prohibited. Due to the characteristics of the cathedral, where the accesses are by stairs, children and disabled carts are prohibited. Bags and backpacks whose size exceeds 30 × 40 cm and umbrellas, must be left in the designated storing areas. When the temperature is below -15 degrees, schedules can be reduced. Have you visited the Cathedral of St. Basil? What were your impressions?